Why me God? Why d’you go silent on me when I need you most? I’ve done everything right, this shouldn’t be happening to me. What a total mess. I doubt there are many Christians on the planet who haven’t screamed at God at at least one point in their life. Why do things have to go so stupidly wrong? We may still know that God is on the throne, but that makes it all the more confusing as to why he isn’t responding to our cries. This is where David was when he wrote Psalm 22. He was in a mess but, maybe too, he did exaggerate somewhat. At least there are no stories in the bible as I recall, where his hands and feet were pierced, or his garments divided. Yet in that state of despair, God was doing something very, very special. Because of the suffering he himself was struggling with, David was able to prophetically describe vividly the terrible death of Someone, centuries later, who cried out, “My God, my God, why have you forsaken me?” – Someone whose hands and feet were pierced and garments divided. God took that time of desperation for David and turned it into a prophecy, speaking of the sufferings of Jesus on the cross, and providing sure evidence that the cross was no accident, which would lead many future generations on their journey to faith. 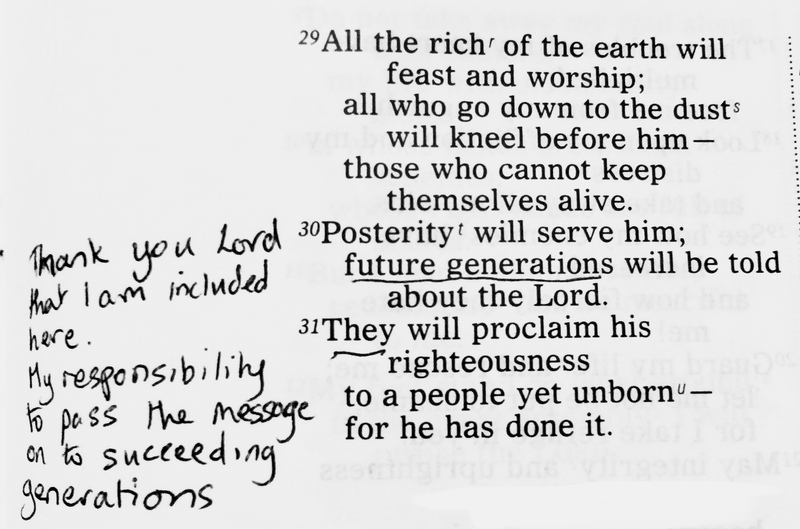 What did David know of all that? Nothing. To him his suffering seemed pointless. 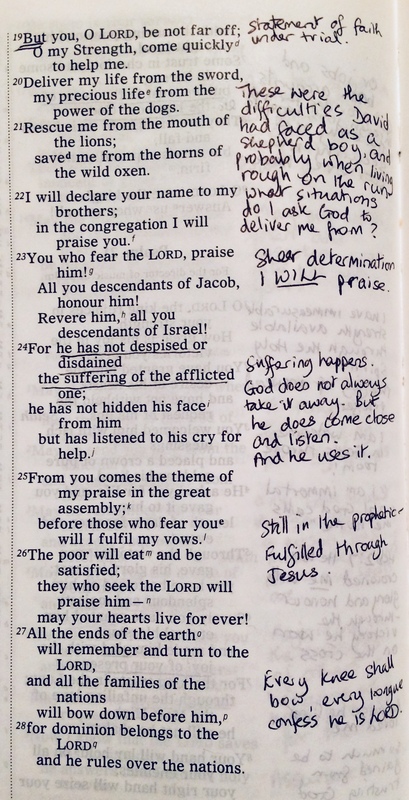 Yet he still determined to praise God for all he was worth. I may never know how God can use my wretchedness, but I do know he never wastes anything. 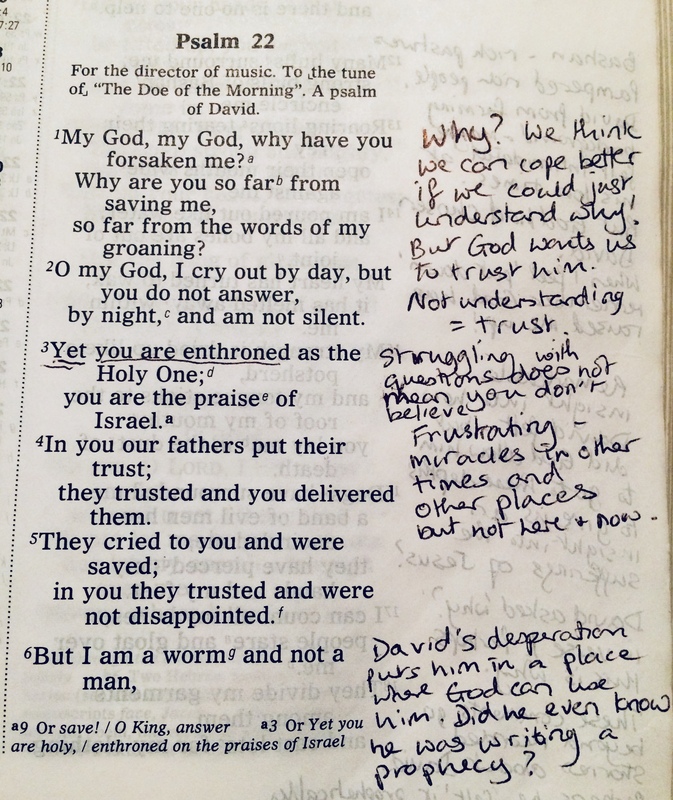 This entry was posted in Bible, Christianity, Psalms, Uncategorized and tagged coping with difficulties, crucifixion, David, King David, life problems, praise through problems, Psalm 22, questions of faith. Bookmark the permalink.